"So...I went shooting at at sporting clays place in PA while on a retreat. I don't own a gun so I borrowed a friends shotgun. Little did I know how much kick this shotgun had. I had to use it all day...so upwards around 70 shots or so. By the end of the day I didn't want to fire another shot. I had it tucked in my shoulder like I was supposed to but this thing was like a horse kicking. 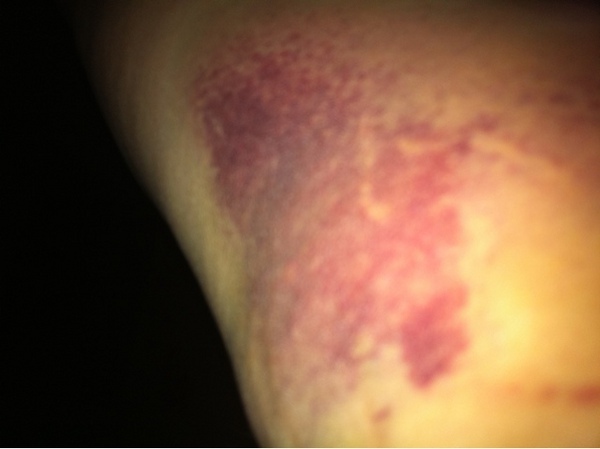 Anyway...here's my bruise."